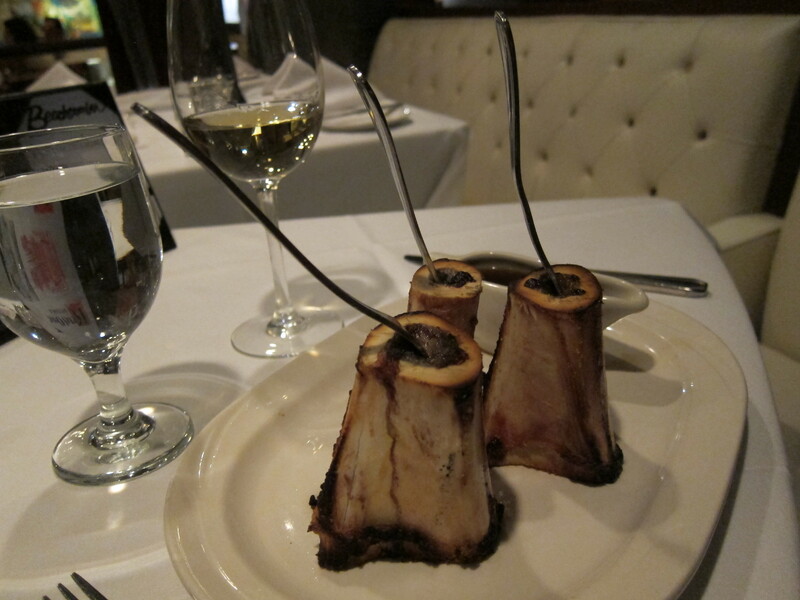 From Homo Habilis to a restaurant in Tampa, this blog serves as an appetizer for an upcoming post on the art, cooking and literature of bone-marrow. Enjoy! This whole topic of marrow bones is absolutely fascinating. When I grew up as a kid in Russia, my mother (who, incidentally, is a great cook – probably the best I know apart from professional chefs, and better than most professionals, anyway) used to make soups with marrow bones. For example, the famous Russian borsch (note, not ‘borscht’, I have no idea where that extra ‘t’ came from) really tastes best when the bouillon is made with marrow bones. Previous Previous post: Terroir And Smoke: Bruichladdich Islay Barley 2007 And Smoked Catfish Étouffée With Readings From Sir Albert Howard, Aldo Leopold and Eliot Coleman. Next Next post: Beef Bone-Marrow: Removing Excess Blood, Scooping The Marrow Out, A Single Light, 350 Degrees For 20 Minutes, And An Egg.